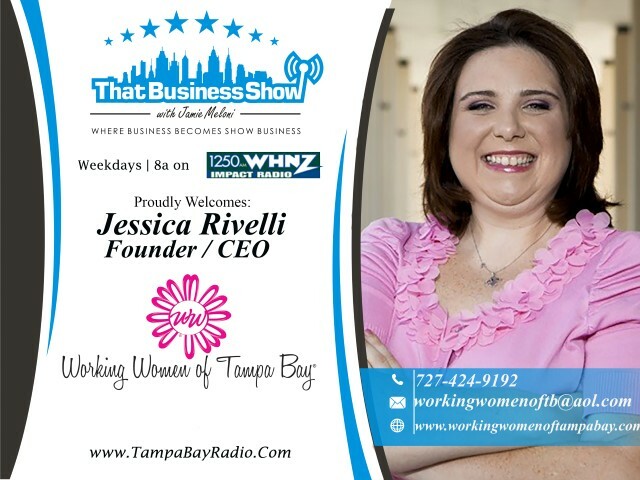 #WorkingWomenWednesdays featured today on #ThatBusinessShow – this weekly feature is brought to us by the Working Women of Tampa Bay Networking Group, an amazing and influential network of professionals in the Tampa Bay area and visit http://www.workingwomenoftampabay.com for all their events and resources. Jessica Rivelli, Founder/CEO of the Group, opened the show with feedback on the event she attended last night at the Women’s Centre. Suzy Batiz, “Queen of the Can” was their guest speaker and inventory of the spray product line “Poo-Pourri” and she was talking about her entrepreneurial journey last night at the Westin Tampa Bay and how she turned a simple idea into a $1million dollar product within one year. Just one of the many resources available to budding entrepreneurs at http://www.thecentre.org! My 2nd guest on the show was Michele Northrup, aka the Saucy Queen. 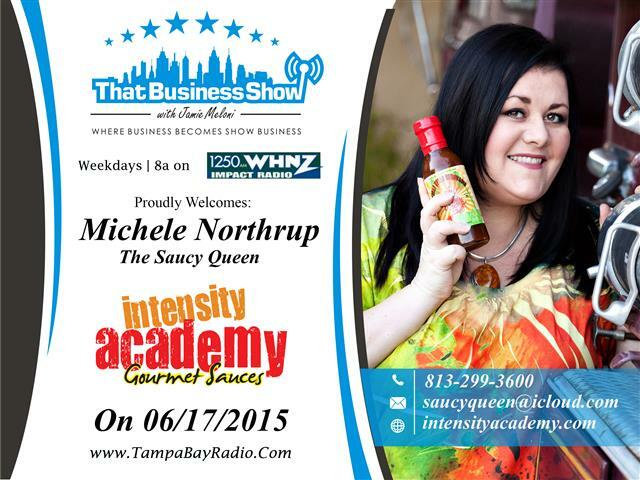 Michele is the Founder and Owner of a line of hot sauces and spices under the brand, Intensity Academy. These products which are found at a number of stores Nationwide and available online at http://www.intensityacademy.com are award winning and tasty. Having taken home more than 50 National Awards in the past 8 years, these sauces are unique in that they are carrot based and she shares her story of how she launched the product line on this segment and much more. She is a frequent speaker at food and wine festivals and has just launched a new project, the Sauceology Group. The Sauceology Group is bringing together specialists in the sauce/spice and gourmet product industry to help with co-packing, flavor profiles, FDA compliance and much more so if you are in this business, check out http://www.thesauceologygroup.com for more information! Learn more about Michele and her product line at http://www.intensityacademy.com and you can reach her at 813-299-3600 or email at saucyqueen@icloud.com! 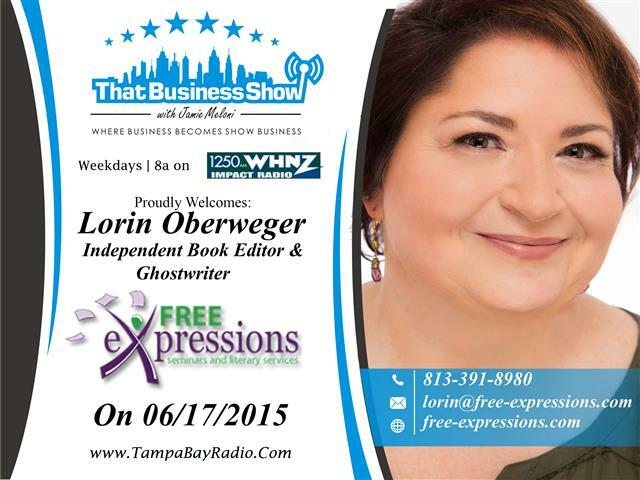 On the 2nd half of the show, Lorin Oberweger, ghost writer and independent book editor, joined the show. She has 25 years of book publishing/industry experience and her company Free Expressions works with budding writers through their workshops and helps them get their ideas out of their heads and onto paper. Lorin gives some great information on the self-publishing vs. traditional publishing routes on this segment as well as talks about her own line of books that she has written. Writing under the pen name, Noelle August, Lorin along with co-Author Veronica Rossi just released their new adult series Boomerang, In July 2014 and follow ups to the series include Rebound, which released February 2015 and an upcoming book, Bounce, to be released later this year. Lorin also shares some industry tips on what sells and what does not sell on this segment and is available to help you ghost write your book – learn more at http://www.free-expressions.com and contact Lorin directly at 813-391-8980 or email at lorin@free-expressions.com for more information!